Thanks to support from the San Antonio Public Library, anyone can replay the video for free, right on this page. Also, the live webcast was reTweeted by Holocaust Music of the United Kingdom and the OREL Foundation of Los Angeles, whose missions are to support music suppressed from the Holocaust and the Nazis. The Third Reich and the policies of the Nazi regime caused the first great rupture of one of the richest musical heritages of all time. Along with countless artists from all fields, the Nazis silenced two generations of Germanic composers: many were killed, others censored, and more scattered across the world, their compositional legacy seemingly destroyed. But with the aftermath of the war came the beginning of a beautiful resistance to these exterminations. Decades of commitment from individuals and organizations has led to many scores being uncovered, edited, published, and performed, and the legacy of these tragically fated composers is beginning to strengthen. This program, given by soprano Kristina Bachrach and pianist Daniel Anastasio, aims to spread knowledge of these brilliant unknown composers, whose stunning music is the key to their rediscovery. 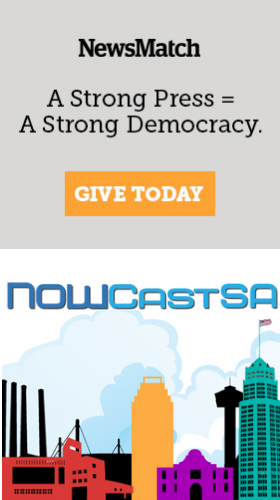 Disclosure: The San Antonio Public Library is a generous in-kind supporter of NOWCastSA.